The NRP Group is a fully integrated, premier multifamily developer, general contractor and property management company dedicated to producing exceptional results for clients and investors. From start to finish every project they undertake is carefully contemplated and executed to maximize investment return, cost efficiency, productivity and overall satisfaction. Founded in September 1995 by Alan F. Scott, T. Richard Bailey and J. David Heller, NRP has developed and constructed over 22,000 residential units in thirteen states over the past 19 years, with a strong presence in Texas, Florida, North Carolina, Ohio, Michigan, Virginia, Indiana, and Arizona. NRP Management is a full-service property manager with over 14,000 luxury, family and senior rental units encompassing nearly 100 properties managed in 8 states. The NRP Group has been recognized as the NAHB 2012 Multifamily Development Firm of the Year. The NRP Group was previously awarded Multifamily Development Firm of the year in 2009 and was a finalist in the category in 2011. Affordable Housing Finance magazine has ranked The NRP Group in the Top 50 Affordable Housing Developers from 2007- 2013. In addition, NRP is currently ranked #8 on the Multifamily Executive Top 50 Builders. 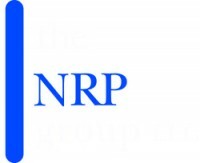 The NRP Group has over 500 employees nationwide with offices in San Antonio, Houston, Dallas, Raleigh, Cleveland, Detroit, Tempe, Buffalo, Orlando and Tampa. For more information, call (216) 475-8900 or visit www.nrpgroup.com.